DETAILS: Nestled in the quiet neighborhood of Gulf Trace in Grayton Beach, 44 White Sands Unit B is a cozy 4 bedroom, 2.5 bathroom cottage that will allow guests to relax and enjoy the beautiful surroundings. Gulf Trace is surrounded by State Park property on three sides and the Gulf of Mexico to the south, providing a quiet beach getaway you won't want to leave. Unit B is eloquently decorated in neutral colors with hints of blue. This beautiful home offers dazzling Gulf views from the living room and the balconies. Enjoy the ease of entertaining your family and friends with the homes open kitchen, dining and living room. When your ready to hit the beach, hop on one of the 4 bikes provided to splash and enjoy the warm Florida sun! At the end of the day, relax in the living room and watch the beautiful sunset over the Gulf of Mexico. Check availability and book today! We enjoyed our stay, but there were things that we feel could be improved at this property. The door to the deck in the master bedroom isn't working, and a sign saying that it is in disrepair is not satisfactory. The guests staying in this room only have access to the deck through the other bedroom, which is awkward. Actually, having the deck off of the bedrooms is awkward anyway. The door off of the other bedroom was in bad shape, as well, and my husband had to do a repair on it. There was a jagged piece of metal on the door strike plate on this deck door that actually tore my mother's shorts while she was going out the door. We had to put a band-aid on that strike plate so no one else was injured. There was not enough silverware for 8 people. The stairs inside are dangerous. It seems a rail is missing. It would be nice to have an outdoor shower. It would be awesome to have a deck on that upper level. The decor is charming and the location is great. Our adult kids used the bikes a lot. We are very glad you enjoyed your stay with us in Grayton Beach! We apologize for the inconveniences felt during your stay. In the future please keep in mind that we at 360 Blue are always available to address any and all issues you have during your stay! We will be sharing your valuable feedback with our team and we hope you are able to visit our area again soon! We absolutely loved staying at Grayt Reflections! It was a great location and close to everywhere we wanted to go. The place was very clean and comfortable & we were so glad that it was such a short walk to the beach. It was also a pleasant surprise to see deer several times around the beach house. 360 Blue was extremely helpful & friendly when we called with any questions. We would definitely stay here again! 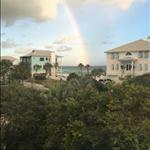 We are so elated that you had a great vacation in Grayton Beach! Grayton is one of our favorite areas! Our Ambassador department is wonderful and we so pleased to hear you had a great experience with us! We can't wait to help you have another wonderful vacation soon! We really enjoyed the view from the cottage & proximity to the beach. We had fabulous weather & really had a great time with bikes especially, we were wishing they had lights on them for nighttime biking to Seaside for dinner. The house was in a bit of disrepair with a broken patio door & knobs missing on kitchen cabinets and a very important stair light switch wasn't working which caused a visit from maintenance. We could not find a broom in the house which would have been nice for the kitchen. Also the Wifi password was wrong on the app and no one really knew the correct one, we guessed it! There was a big hairball in the master bath on arrival (from previous guest) and some clothes in the dresser in master. What a cute photo! It's definitely one to frame and treasure for years to come! We are happy to hear you could take advantage of the beautiful weather for bike riding! We are sorry to hear the home did not exceed your expectations and have reported the issues you provided us with to the property manager so they may be repaired. We have updated the password for the wifi in the app and have also replaced the broom in the home. We pride ourselves on having immaculate homes, and are sorry to hear that this was not your experience. We hope you'll come back for the true 360 Blue experience! We had a nice week away with our two young boys and really enjoyed the quaint neighborhood this home is situated in. The house itself was a nice size for us and we spent most of our time upstairs enjoying the beautiful views when it wasn't raining. The weather had us indoors for 2 days and it unfortunately forced a lot of bugs in as well. Not sure if those were termites or what, but there were a LOT of them. Overall we had a nice time and enjoyed Grayton Beach very much. What a beautiful sunset! We are thrilled that you enjoyed your stay though we are sorry that the tropical storm seemed to force some pest control issues. We are checking with the pest control company for this home to ensure everything possible is being done to prevent these sort of issues. We hope that you all created some amazing memories during your time here and we look forward to seeing you back soon! Our family of nine had a wonderful stay at Grayt Reflections. This is our third time in this beach house. The is our first time in Unit B, and its panoramic view from upstairs is breathtaking! The great room upstairs is large and spacious and perfectly decorated for a beach home. The walk to the beach is very short and the beach itself is so quiet and beautiful! Unfortunately, the weather was very windy all week and the water was not too rough for swimming. But we were able to spend some time with family sunbathing and sitting under beach umbrellas. These photos I have added are from my paintings of the view from this beach house! A must experience! What a stunning painting! 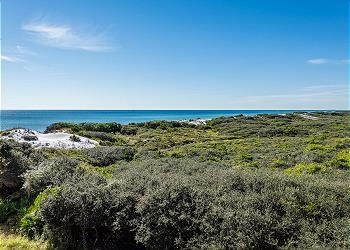 You truly captured the beautiful greenery of Grayton Beach. We're happy to hear that you enjoyed the property so thoroughly, those panoramic views truly are stunning! Thank you so much for choosing 360 Blue for your family's beach escape, and for taking the time to share your beautiful art and experience. We hope you'll come and visit us again soon! The unit is very clean and bright. As others have noted the downstairs is cold and the upstairs blistering hot. Call an HVAC guy for goodness sake. We put a fan at the top of the stairs to pull up the colder air. It would be nice if there were screens in upstairs windows to catch the cool air when it is there. Other weird thing is the outside deck is only accessible through two of the bedrooms so not terribly usable. Final gripe is outside shower does not have hot water. It's an ok place but not perfect. Nice views and nice neighborhood. Thank you so much for staying with 360 Blue! We are so sorry about the air conditioning issue. The homeowner has invested in a new zoned AC system to alleviate the issue. The hot water to the outside shower has been fixed as well. Thank you again and we hope to have you back again soon! I took my two daughters and one of their friends for a long weekend at the beach. This house did not disappoint! Everything was very comfortable, clean and decorated very nicely. The view of the beach was simply amazing. A quick 2 minute walk and you're at the beach access. We made good use of the 4 bikes that came with the rental. This location is quiet yet close to good shopping and restaurants. We even saw three deer in front of the house one day! I will definitely book through 360blue again and highly recommend this unit! What a wonderful way to spend a girls weekend! We are thrilled that you enjoyed both this beautiful home and the amazing community that it is in. We hope to see you all back again soon! really enjoyed it. very nicely decorated. close walk to the beach! Such a beautiful view! We are so happy your enjoyed this beautiful home. We look forward to having you back soon! Awesome neighborhood- we have stayed here for 15 years. The house was nice and well-priced, however, it is really too small for 10 ppl. Yes, it sleeps 10 if you can fit 2 people in a queen bed- there is only 1 king. 2 bathrooms for 10 ppl is rough. 10 people cannot be seated for meals. It was very tight and confining. House has a lot of ants. Upstairs is miserably hot in the summer, even with blinds closed. The gas grill ran out of propane within 15 min of grilling- property manager was very responsive and brought us a new tank quickly. 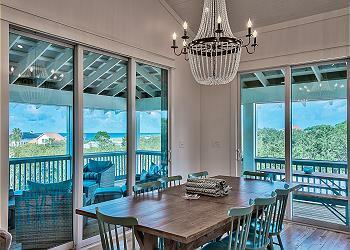 The house is well decorated and offers a great gulf view. I DO NOT recommend beach toy rentals through 360- they do not refund for days the beach is closed- other vendors will. Thank you so much for your feedback. We are looking into why there were areas that were so warm. In the future, please know that we have an entire service and maintenance team that will be happy to help you with any similar concerns. As for the beach gear, we unfortunately can not offer refunds for act of god or weather that is out of our control. We hope that, despite your concerns, you were able to have an amazing stay with your family. Loved the view and closeness to the beach. 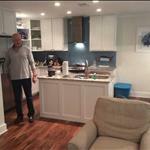 The decor was beautiful and the condo was very clean and well-appointed. My only suggestions would be to have HD streaming TV in the bedrooms, plus would recommend cover for outdoor deck and tint the western windows (it was hot upstairs). We had an issue with the TV and the 360 Blue staff was very quick to resolve it. This is such a beautiful unit with some of the best views. We are so happy to hear that you enjoyed it so much. I have forwarded your suggestions on to the property manager so that she can check into what can be done. We sincerely appreciate your feedback. We look forward to having you back soon! This home really does have some of the best view in Grayton Beach. We are so happy to hear that you were so comfortable here. Thank you for choosing 360 Blue. We hope to see you back soon! We had a wonderful family vacation at Grayt Reflections. The house was beautiful on the inside. We enjoyed having the bikes to ride. The beach was beautiful each day and not very crowded. We look forward to staying again next year. We strive for each guest to have the perfect getaway and it sounds like we succeeded with your family! Thank you so much for trusting us to manage your vacation ~ we hope to see you again soon! House and view were spectacular. Very clean and beautiful house. What a beautiful picture you captured from the house! Thank you for sharing and for staying with 360 Blue. Come back soon! Grayt stay at this brand new duplex. Beautifully decorated and stocked with everything you need for a perfect beach vacation. Nice deck overlooking the dunes and ocean - wonderful sunset watching place too. Comfortable beds with really soft linens. Our large group had plenty of room. Lots of restaurants within biking distance. We saw deer on the entrance road to the neighborhood every day. The beach is fantastic. Not crowded at all. We can't wait to rent this house again. 360 Blue was on top of everything - thank you for a carefree vacation. We are so proud of this 360 Blue jewel! 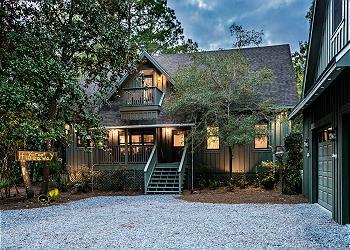 Yes - from the gulf to deer sightings, this home truly has it all! We look forward to hosting your next vacation soon! We have been coming to Grayton for 20 years and have stayed in many houses! This is definitely one of our favorites. Our only complaint would be that the upper floor was quite warm, while the lower floor was quite chilly. We are so glad you enjoyed your stay in the heart of 30-A - Grayton Beach! Please allow us to host your next vacation soon! We enjoyed another great spring break on Grayton Beach! This beach house is beautifully decorated with gorgeous ocean views. We especially loved watching the amazing sunsets from the living room. Very comfortable accommodations for our family and a nice touch including the bikes! 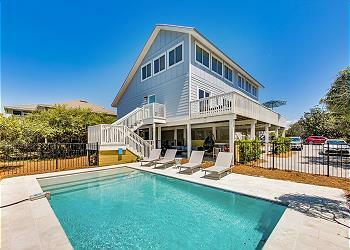 Grayton Beach is correctly named the heart of 30-A for it's convenient location to everything we have to offer! We are so pleased you enjoyed this beautiful home and took advantage of the bicycles that are included. We look forward to hosting your next vacation soon and thank you for choosing 360 Blue!